Throughout the greater San Francisco Bay Area, Colliers International’s trusted advisors collaborate closely with clients, delivering thoughtful and successful commercial real estate solutions. Our integrated services approach empowers clients to make intelligent, strategic commercial real estate decisions with lasting, positive results. From our twelve offices in the region, our professionals offer a full range of brokerage, property management, valuation, project management, research and marketing services to clients across a broad range of property types, including office, industrial/R&D, retail, mixed-use, land, multifamily, hotels, self-storage, healthcare and data centers. How can we help you? Sign up today to start receiving e-mail updates about the local available properties that interest you. Follow the Bay Area submarkets with our market-leading research, analysis, and activity reports as soon as they are released. Sign up today! Our roots in the Bay Area go back to 1974 and from day one, service excellence has been a part of our DNA. At the foundation of that service is the strength of our professionals. Our experts know their local communities better than anyone and our 9 local sales offices, along with dedicated property management and business operations offices, reinforce that sense of community. The Bay Area is made up of many diverse regions and we cover each one with expert research and market knowledge, allowing our clients to make informed, intelligent decisions. From the world-class wineries in Napa Valley and the distribution centers in the Central Valley to the high-tech campuses in Silicon Valley and the financial offices in San Francisco, Colliers has you covered. Contact one of our offices today and talk to one of our experts. Located in the Pacific Coast of Northern California, San Francisco is a uniquely picturesque city with beautiful views of the Pacific Ocean, Golden Gate and Bay Bridge, and is the cultural, commercial and financial center of Northern California. San Francisco has a sophisticated cultural innovation and experimentation culture and is famous for its concentration of cutting-edge, high-technology firms such as Uber, Twitter, Salesforce, Squarespace, Airbnb, Adobe, Lyft, Pinterest, Yelp and LinkedIn. San Francisco has been known as a financial center on the West Coast and for the cutting-edge biotechnology industry, with 500 companies specializing in pharmaceuticals, medical electronics and bionics. Our San Francisco office is located at the epicenter of development activity in the South Financial District just steps away from the new Salesforce Transit Center and Salesforce Tower. Silicon Valley is located in the southern San Francisco Bay Area, the moniker being derived from its origin within the Santa Clara Valley in Santa Clara County, which includes San Jose and the surrounding cities and towns. The region has expanded northward to include the southern portion of the East Bay and the San Francisco Peninsula. The Peninsula consists mostly of San Mateo County, its northern tip being San Francisco and the southern base being northern Santa Clara County, where Stanford University sits as an icon of the technical revolution. Many prominent technology firms have their headquarters located in Silicon Valley/Peninsula, including Adobe, Apple, Facebook, LinkedIn, Google, Intel, Oracle, Genentech and Gilead. Our brokerage professionals are some of the best in the business as demonstrated by the awards and accolades given year-after-year. Among our brokerage team there are 11 Association of Silicon Valley Brokers (ASVB) Hall of Fame brokers, 15 Society of Industrial and Office Realtors (SIOR) certified brokers and 4 Certified Commercial Investment Member (CCIM) certified brokers. As the Silicon Valley and Peninsula’s most experienced brokerage firm, our professionals consistently provide our clients with responsive, informed, and unmatched world-class service. With the San Francisco-Oakland Bay Bridge providing access from The City, the East Bay is comprised of Contra Costa and Alameda Counties and roughly 3 million people, making it the most populous sub-region in the Bay Area. Home to the Port of Oakland, one of the busiest shipping container ports in the country, the area is a major transportation, logistics and distribution hub for the Western United States and the industrial footprint extends along the I-880 Corridor. Further inland, large-scale office projects and retail services dominate the landscape. Due to its proximity to transportation, an educated workforce, and excellent quality of life, many prominent firms have located their headquarters in the East Bay, including Workday, Lawrence Livermore National Labs, Safeway, Inc., Chevron North America, Bayer, Robert Half, Ross Stores, Sandia National Labs, Clorox, Tesla, and Sybase. The North Bay consists of four counties – Solano, Napa, Sonoma and Marin and is located directly to the north and northeast of San Francisco. The region encompasses a total area of 4,291 square miles and has an estimated population of 1,3 million. Largely agricultural, the North Bay is popular with both large food manufacturers and smaller artisanal producers, as well as with tourists visiting the renowned Napa Valley and Sonoma wineries. The technology industry continues to grow in the North Bay, thanks in part to the region’s educated population, and is home to major employers such as Autodesk, Bio Marin Pharmaceutical and Genentech. Solano County’s mix of affordability, a business-friendly environment and natural resources (including available land, water and sewer), combined with a desirable location close to San Francisco, Sacramento and the Port of Oakland, point toward a bright future. The dual attributes of lower real estate prices in comparison to the rest of the Bay Area and available, clean land (which is becoming scarce in the rest of the Bay Area), combine to make the region attractive for businesses and residents alike. San Joaquin County is located directly to the east of the San Francisco Bay Area. It covers more than 1,400 square miles and bridges northern and central California. Its geographical position within the country’s third largest state places the county within a dynamic growth corridor ideally situated for business and industry. There are five sub-markets in San Joaquin County comprised of Tracy, Lathrop, Manteca, Stockton and Lodi. Due to the centralized location of San Joaquin County, it has cultivated extensive transportation facilities. These include the Port of Stockton, Interstate 5 and Highway 99, Union Pacific Railroad and Burlington Northern Santa Fe (BNSF) Railroad and the Stockton Metropolitan Airport. With these transportation systems in place, San Joaquin County is a central staging area and meeting place in California, providing excellent logistical and distribution opportunities. With our Stockton office located in the heart of the region, our experts are perfectly positioned to find the opportunity that works best for your requirement. Alan Collenette has been involved in commercial real estate since 1971, when he began his career in London, England. In addition to a lifetime in the real estate profession, Mr. Collenette once promoted and performed in rock bands with The Right Honorable Tony Blair (Collenette-Blair Promotions), and holds several World Masters Championship Titles for Rowing (Crew). Over the past 34 years in North America, first in Vancouver, Canada, then in the San Francisco Bay Area, Mr. Collenette has acted in the acquisition, disposition and leasing of over 10 million square feet of commercial and multifamily property. He has also led the successful expansion of brokerage activities for four (4) commercial real estate firms, and as one of San Francisco's top investment and leasing brokers, Mr. Collenette consistently placed in the top 5% in the city in terms of dollar and transaction value. In 1988, Mr. Collenette became a founding principal of Stubbs, Collenette and Associates, a San Francisco Bay Area real estate firm. Between 2002 and 2008, Mr. Collenette founded a development company with which acquired and redeveloped retail and multifamily properties totaling over $150 million in California, Arizona and Nevada. 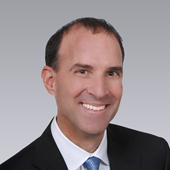 As Executive Regional Managing Director for Colliers International in the San Francisco Bay Area, Mr. Collenette has, since 2009, led the ten-fold growth in revenues of the Company's San Francisco operation, and the explosive expansion of the company's service lines. Scott originally started his career in commercial real estate at Grubb & Ellis, where he served for 20 years as Office Division Director. Scott then joined Colliers Parrish International in Walnut Creek in 2000 where he spent 11 years as Senior Vice President and Office Division Director and recently returned as Executive Managing Director. Over the past 30 years, Scott has been regarded as one of the top office brokers in the north I-680 corridor. During his career, he has successfully leased over 5,000,000 square feet of office space and brokered over $920,000,000 in office building sales. Scott has brokered three of the largest leases ever done in the I-680 market to such companies as PG&E, Contra Costa County and Wells Fargo. During his career, Scott has consistently been awarded top overall office division producer, Office Broker of the Year and Circle of Excellence. Phil began his real estate career in 1986 with Cushman & Wakefield specializing in the leasing and sales of industrial and office property. He joined The Galbreath Company of California, Inc. North Bay Region in 1994 where he remained for 3 years. 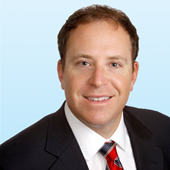 Phil joined Colliers International in 1997 as Vice President and Managing Partner and continues to specialize in leasing and sales of industrial and office property in Solano and Contra Costa County. Phil is a member of the Society of Industrial and Office Realtors (SIOR) and a member and past president of the Benicia Industrial Park Association (BIPA). In 2007, Phil was the recipient of the East Bay Structures 2007 Award for the Industrial Lease of the Year. He has consistently ranked as one of the top producers over the past 10 years in his real estate brokerage career. Phil was born in Oakland, California. He graduated from U.C. Santa Barbara with a B.S. Degree in Psychology. Phil is a long-standing member of the Big Brothers of the East Bay and has remained active in his little brother’s life for the past -20 years. He enjoys reading, traveling, diving, swimming, golfing and tennis. Phil presently resides in Orinda with his wife and three children. I am the Executive Managing Director for the Stockton/Central Valley office of Colliers International. My core focus is representing clients in all aspects of industrial real estate including land sales, investment sales, buyer/tenant site selection and acquisition and landlord/seller marketing and disposition. I unsurpassed knowledge, strong relationships and credibility in the market creates opportunities for my clients. Me and my team average more than 100 transactions annually, involving warehouse/ distribution centers, manufacturing facilities, flex buildings, special purpose properties and land throughout the San Joaquin Central Valley. 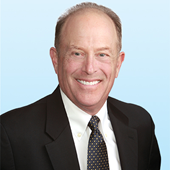 Rick is the Executive Managing Partner of Colliers International’s San Francisco Peninsula Office and has been in the commercial real estate industry for 35 years – 27 years in commercial brokerage and 8 years in development. Rick specializes in Residential Land Sales. Rick’s diverse background and real estate experience includes leasing and sales, land acquisition and securing entitlements for in-fill developments. While in the development business, Rick was instrumental in fueling the growth of a local development company and acquired sites valued in excess of $85 million. He has consistently been a top producer and has received numerous production awards from Colliers International. Over Rick's career, he has negotiated over 1,300 commercial lease or sale transactions on behalf of his clients in San Mateo County and Silicon Valley. Combining his extensive brokerage and development experience allows Rick to work closely with his clients to strategically identify their goals and objectives in order to arrive at the best real estate solutions. He has consistently been a top producer and has received numerous awards from Colliers as well as Broker of the Year Award from the Association of Silicon Valley Brokers. Rick is active in many local charities including Colliers International’s Links for Life Foundation and is a member of the Association of Silicon Valley Brokers, the Urban Land Institute, the Board of Fellows at Santa Clara University, and the Board of Directors for SAMCEDA. Ken specializes in the sales and leasing of office properties in the Downtown Oakland area. Throughout his career, Ken has represented tenants and property owners in over 5.0 million square feet of transactions resulting in over $1 billion in transaction value.Ken graduated from the University of California, Berkeley in 1981 with a B.S. 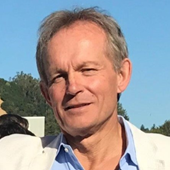 degree and from Golden Gate University in 1986 with a Masters in Business Administration/Finance.Ken began his real estate career with ComCore Colliers International, now Colliers International, in 1986 as an Office Leasing Specialist. In 1994 he joined PM Realty Group as the Director of Leasing for Northern California and was responsible for coordinating leasing for institutional property owners throughout the region. In 1996 Ken rejoined Colliers International to open the Oakland office, where he currently acts as the Managing Partner. Tom is responsible for the oversight of property management operations and business development in the San Francisco Bay Area. He has more than 25 years of commercial real estate experience in Northern California with a long history of implementing “value-add” initiatives, including strategic leasing concepts and development efforts. Toms’ expertise covers a diverse range of property types, including urban office, suburban office, high street retail, suburban retail, regional malls, and multi-family residential properties. As Executive Managing Director of Colliers International’s Silicon Valley office, my role is to oversee and continually diversify the Colliers presence within the Silicon Valley, one of the most strategically important markets in the world. I work closely with the 80 brokers in our office to optimize the brokerage services we provide to our investor, owner, and occupier clients. I enjoy my work very much, and deeply value the trust our clients put in us to solve their real estate challenges. At Colliers, I work with many of the most established brokers in our region, as well as newer brokers as they develop their careers. It gives me great pride to know that all our agents can rely on me to help them continue to be successful. I believe the Colliers entrepreneurial culture serves clients well because it fosters a client-focused initiative very similar to the enterprising energy that our clients put into their own businesses. I joined Colliers in May 2018, bringing with me over 36 years of commercial real estate experience. Immediately prior to joining Colliers, I worked at Kidder Mathews as the Executive Vice President overseeing brokerage services for Northern California and Nevada. Before Kidder Mathews I ran the CBRE Silicon Valley Private Client group. I began my brokerage career two weeks after graduating from CAL Berkeley with Coldwell Banker (now CBRE) as an Industrial salesman in their Oakland office. Over the years, I have handled over $1.1 billion in Sales and Lease transactions in the office, R&D, industrial and retail sectors. Additionally, I have held numerous management and senior management positions with CBRE, Transpacific Development Company, Insignia ESG and Kidder Mathews. I live in Menlo Park with my wife of 30 years, Anne Kerwin Payne. Our children Weston and Madelyn are now raised. In my spare time, I love to play golf, ski, and hike. Anne and I support a number of community organizations, especially the Bay Area Women’s Sports Initiative (BAWSI) and CAL Athletics. I also serve on the board of the Silicon Valley Brokers Association and am an active SIOR. Marshall Snover entered the commercial real estate business in 1984 and has established himself as one of the I-680 corridor's most knowledgeable and respected office market leasing and sales specialists. Professionalism, hard work, conscientious attention to detail, mutual respect and a dedication to succeed are the foundations upon which Mr. Snover has developed his reputation in the business.